Home › Energy-Efficient LED Lighting › Diateklity Bike Headlights - Premium Quality Bike Light/Flashlight Comes With..
Diateklity Bike Headlights - Premium Quality Bike Light/Flashlight Comes With..
TWO CHARGING MODES-You can charge it with 3* AAA batteries or 1*18650 lithium battery(NOT INCLUDE).The light handle can change (lengthening or shortening) the length to fit two different batteries. THREE MODES OPTIONS -You can toggle 3 modes with the tail button,just a slight press: High, Medium, Strode mode for your chosen. High mode is 160 lumens,Medium is 80 lumens,and the strobe mode is 160 lumens. Keep you safe on your bicycle. ADJUSTABLE ZOOM FOCUS: The focus of the beam can be adjusted by rotating the head.It is useful for fitting different situations. PERFECT LED BIKE HEADLIGHT & FREE TAIL LIGHT- High-power 3W lighting with brightest 160 lumens and its range between 80 to 120 meters. What's more, we offer a very nice tail light for FREE! No more fear at night! 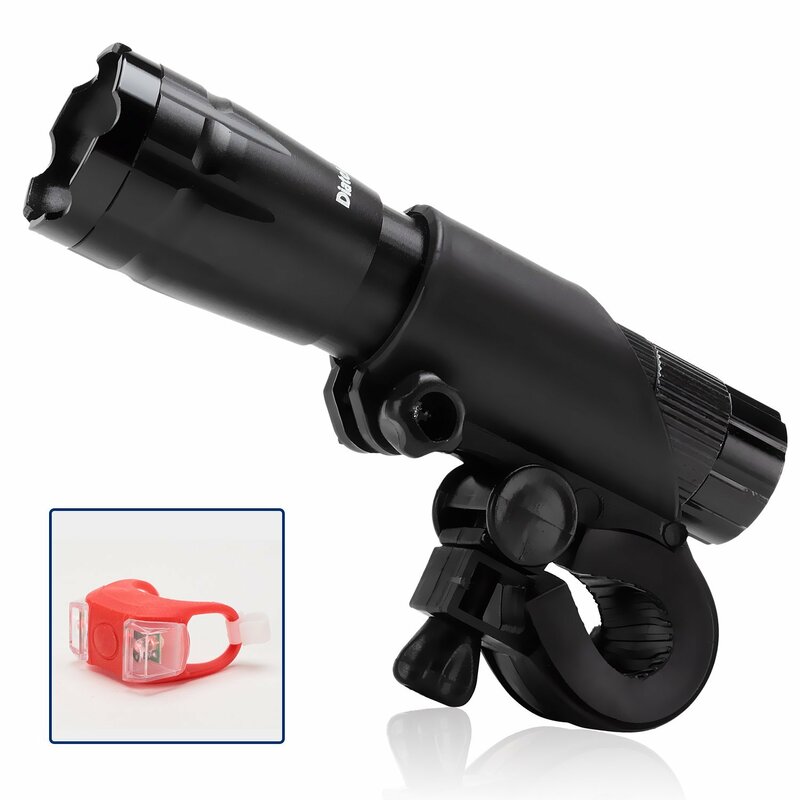 PREMIUM QUALITY MATERIALS & RISK-FREE -This bike light has the highest grade aluminium alloy shell. It is extremely durable and indestructible. Besides, basic on its waterproof IP65 grade,you can use it in rainy days when you are hiking,cycling and traveling. Also, we offer 30 DAYS MONEY BACK GUARANTEE! ADD TO CART NOW!